We often think some of the fast food meals we buy from our favorite fast food restaurants can be expensive. You may complain that a $5 hamburger is entirely too much for a fast food meal. Sometimes you may feel the need to treat yourself at a restaurant and splurged on a tasty meal, but this list will blow your mind. The meals on this list are some of the most expensive meals ever created in the world. While they may not be in anyone’s budget besides millionaire and billionaires, we can all gawk at these crazy expensive meals. 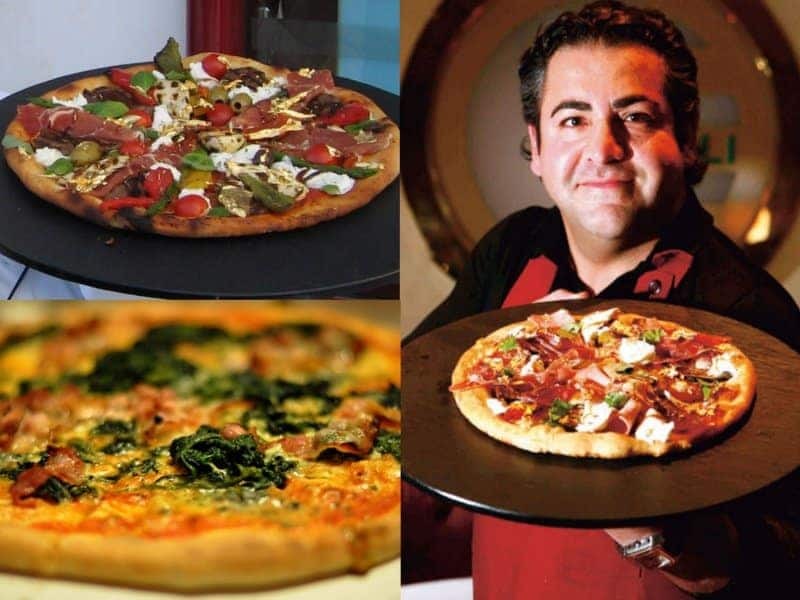 Nino’s Bellissimo in New York City serves up an expensive, $1,000 pizza. 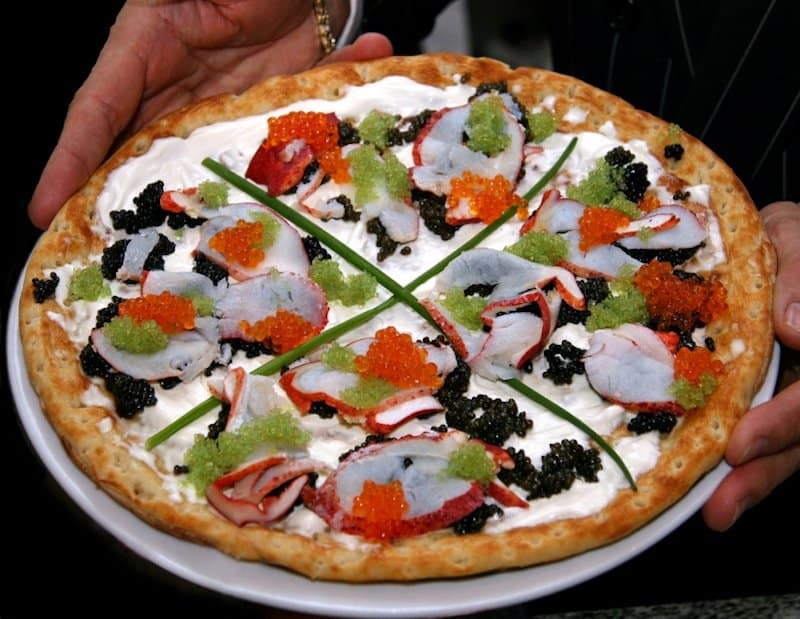 The pizza is topped with four different types of caviar, and lobster tail. 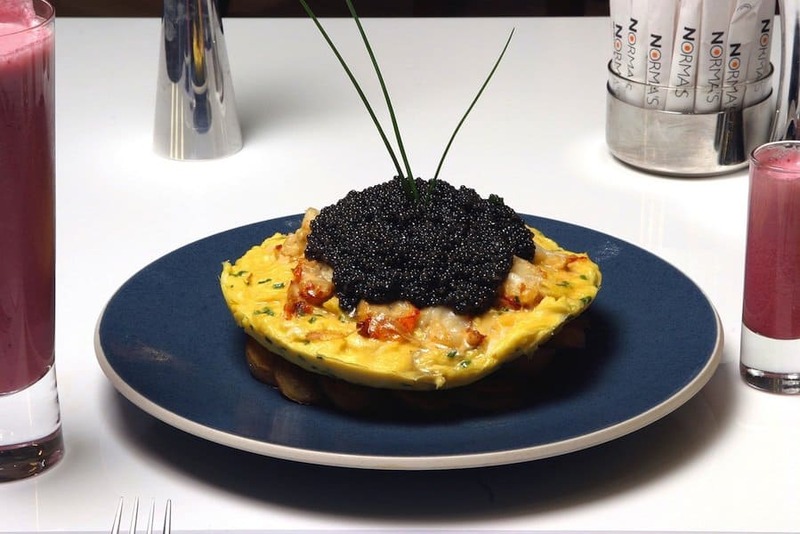 This is the world’s most expensive omelette. It consists of one pound of lobster covered in six eggs that are placed on a bed of fried potatoes. It is then topped off with 10 ounces of Sevruga caviar. 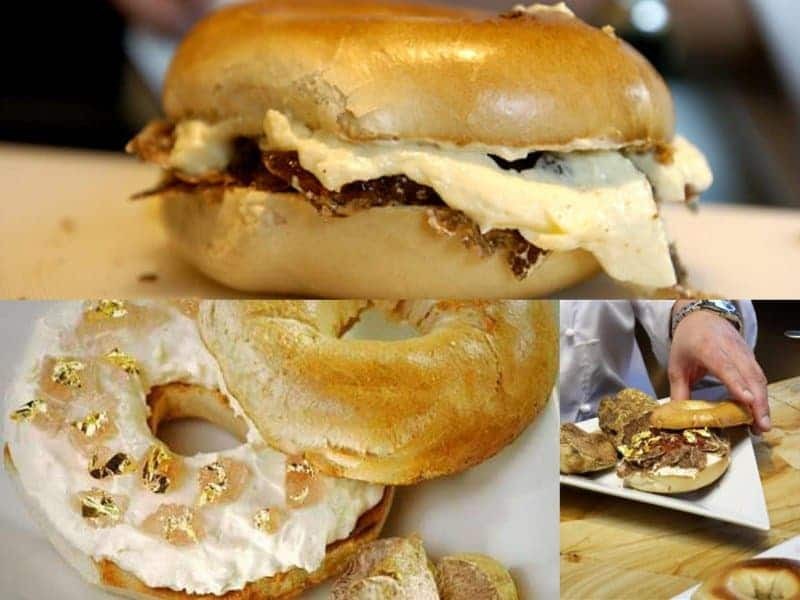 This isn’t your ordinary breakfast bagel. The $1,000 Westin Hotel Bagel contains small amounts of white truffle cream cheese and has goji berry-infused Riesling jelly and topped with golden leaves. The truffle cause this bagel to be expensive since the Italian fungus is deemed one of the most expensive food items in the world. Wagyu beef is very hard to come by and it is mostly found in Japan, which is why it is a very expensive meal. 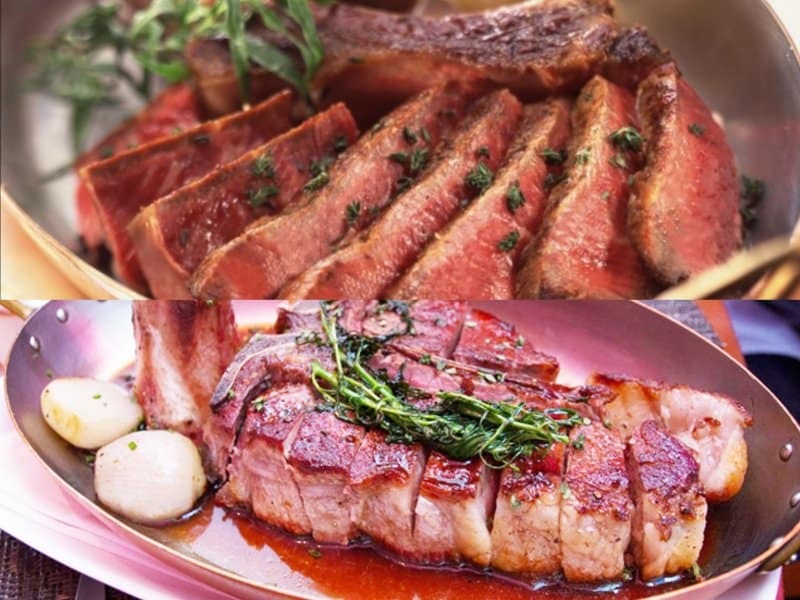 A Wagyu beef ribeye steak once sold for $2,800 at Craftsteak in New York City. The Pizza Royale 007 from Domenico Crolla is another expensive pizza. It’s made up of some of the finest ingredients the world has to offer. The Pizza Royale 007 is a lobster pizza that is marinated in cognac. It has champagne soaked caviar, venison, smoked salmon, prosciutto, and is topped off with 24-carat gold. 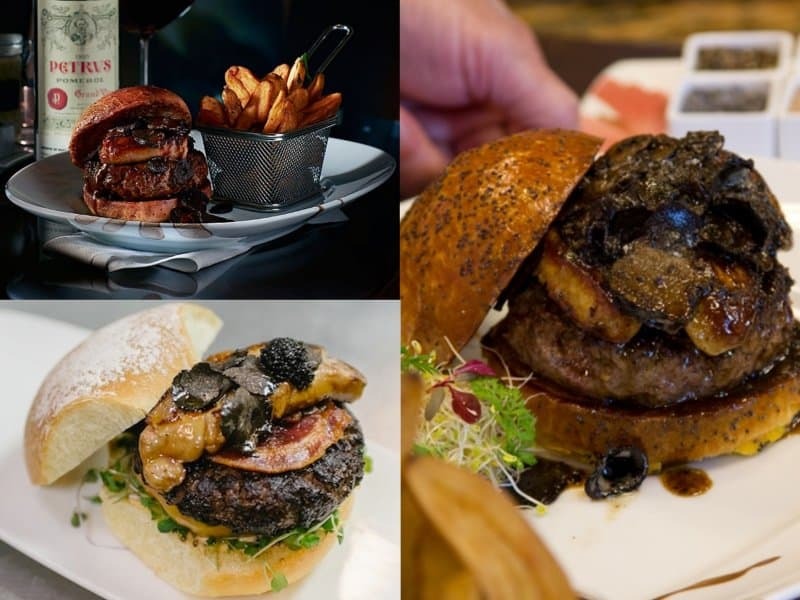 The $5,000 Fleurburger is one of the most expensive burgers ever made. The burger is available at the Fleur Restaurant in Las Vegas. It is made of a Wagyu beef patty and served with black truffles. When you think of watermelon, the first thing that comes to mind is green. The Dense Black Watermelon is extremely sweet and vary rare to find. It is grown in the small island of Hokkaido in Japan and only harvests about a dozen. It once auctioned off for $6,100. 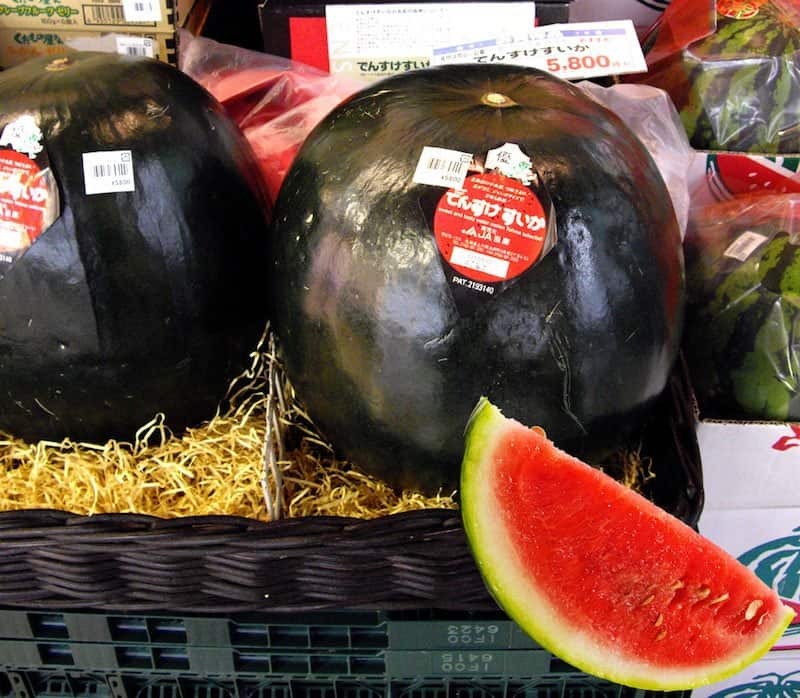 The Yubari King melons are the most expensive melons in the world. They are only grown in a small region of Japan. Due to this they are very hard to find making them very expensive. 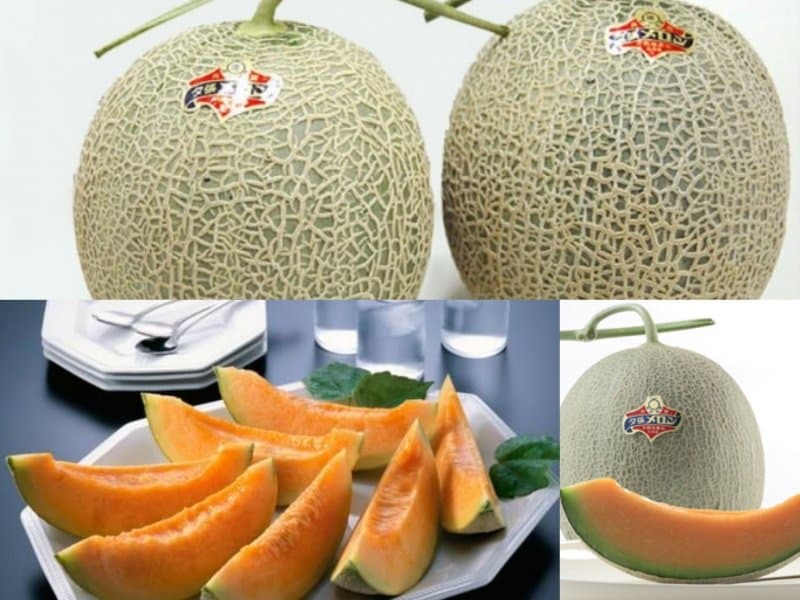 They have a very sweet, distinctive taste than your ordinary cantaloupes. This hot chocolate is only available at the Serendipity 3 in New York City. The expensive drink consists of a solid gold, diamond encrusted crown that is filled with the world’s finest cocoa and milk. It is served with pieces of gold inside of the hot chocolate and a gold plated spoon. This is considered to be one of the world’s most expensive desserts. 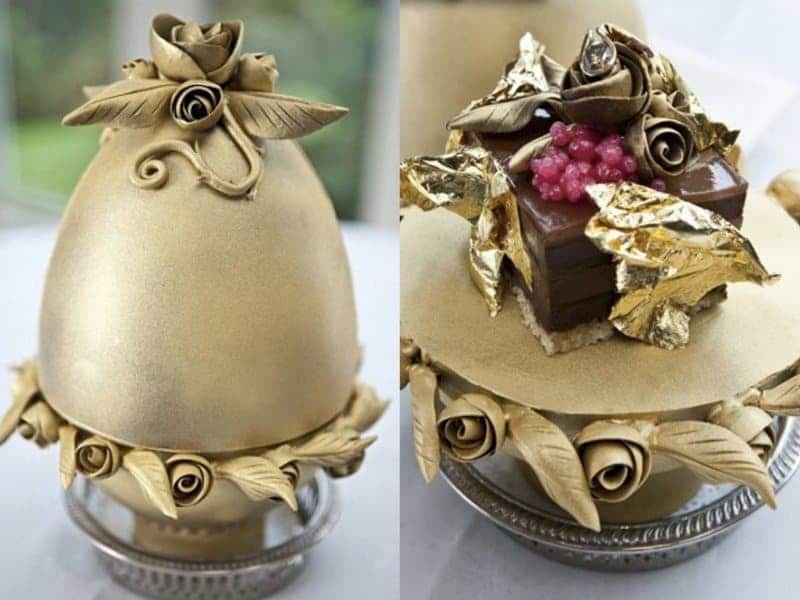 It’s a chocolate pudding that is shaped to look like a Faberge egg. 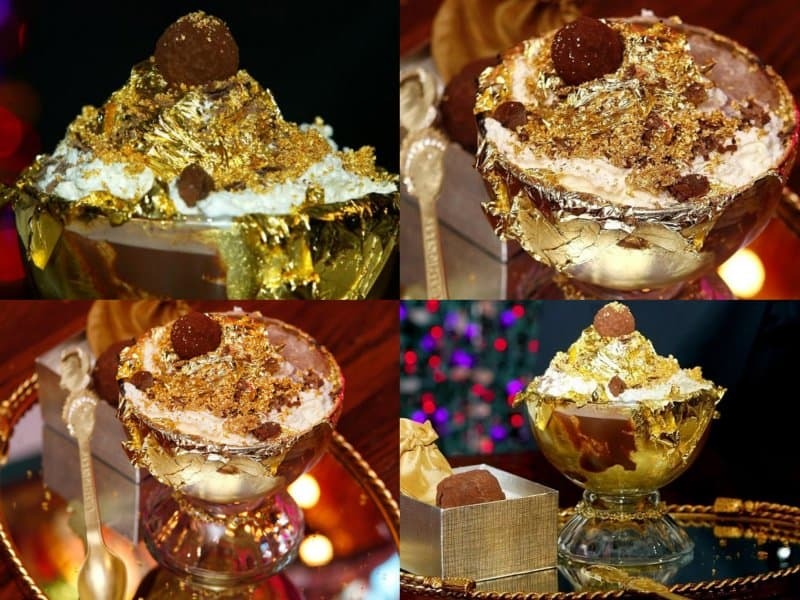 The pudding is made with some expensive chocolate, caviar, a gold leaf, champagne, and topped with a diamond. It’s also layered with champagne jelly and laced with edible gold. The pudding is available at the Lindeth Howe Country House Hotel in England.